New Liturgical Movement: Should We Stop Pursuing Excellence to Avoid Moral Danger? Should We Stop Pursuing Excellence to Avoid Moral Danger? 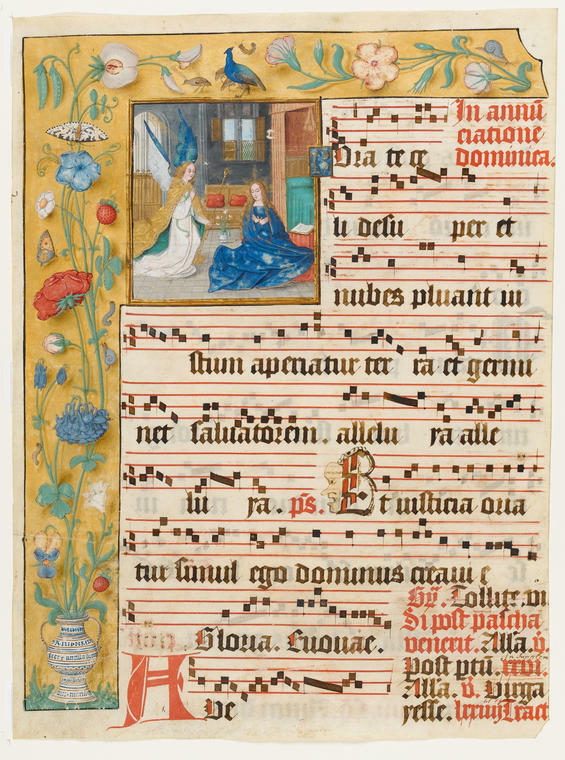 Through the centuries, and even to the present day, the faith of the Church has been communicated by music, as much as by words; the very Word, through the Church, embodied in music. … It is an essential function; it was never merely decorative. The Mass in its nature is sung, chanted; and the innumerable musical settings of the Mass are intrinsic to its meaning, to its universality, to the dimensionality: it is not “just words.” … I am convinced that the recovery of the musical traditions, within Holy Church, can do more to evangelize than any quarrelling with the world. For what we must do is not argue, but proclaim; and music in its nature does not argue. It proclaims. This statement seemed to me as resonantly unarguable as a well-played Prelude and Fugue. To my surprise, however, an argument broke out, in which it soon became evident that those who hold a position like Warren’s were being accused, whether directly or implicitly, of snobbery, judgmental elitism, holier-than-thou aestheticism, pastoral callousness, and other unpleasant things. It seems to me that Warren is making a triple claim: first, that religious worship, being the sublime act of reaching toward the transcendent God in awestruck homage and receiving the benediction of His grace, is inherently musical — that music is part of the very activity (in a McLuhanite sense of the medium being the message); second, that great music is therefore a moral imperative, not a kind of window-dressing that we can take or leave; third, that “the recovery of musical traditions … can do more to evangelize” modern men than other approaches that have been tried and found wanting. Why is this? Men who are drowning in desacralized materialism, in the close confines of practical atheism, are in desperate need of anti-secularizing shock treatment. They need not worldly reassurance but otherworldly elevation to the Fear of Jacob. In other words, I believe that Warren is talking about the arresting, converting, and evangelizing power of supernal beauty. Given the knowledge and talent demanded by excellence in the realm of the sacred arts, it is no more surprising that the danger of pride would lurk therein than that the danger of self-indulgence or power trips would lurk among the clergy, who have special temptations in that regard. What a fool’s bargain if we tried to get rid of pride by getting rid of beautiful and difficult things that elicit pride and going rather for something banal and homely, about which nobody could be proud. Even worse, just as a poor man can be possessive about a spoon, so fools would be proud of their banality. The pride would have migrated to the lowest common denominator and we’d be doubly cursed, with moral and artistic unworthiness. Allow me to propose seven points on which Catholics, looking to the Church’s tradition and learning from the mistakes of the past half-century, should be able to agree. 1. We need to move from today’s comfortably content-free religion of moralistic therapeutic Deism to traditional Catholic faith and worship in their fullness. 2. This move should generally be an incremental one, guided by prudence and characterized by a patient pursuit of excellence — although never by tolerance of that which is, strictly speaking, liturgical abuse (cf. Redemptionis Sacramentum). 3. In Christianity, the interior and exterior dimensions ALWAYS go together: one must have the beautiful liturgy AND the pure heart. It seems surprising that a discussion of what is objectively best, and most in accord with Church teaching and tradition, should turn towards the problem that some people pursue these things in the wrong manner or with the wrong motives. Isn’t this simply a universal and timeless problem of fallen human beings? We can’t settle the question of what music should be used at Mass by looking at people’s inner motivations. Rather, we must do what is right and call people (including ourselves) to continual conversion of heart. Otherwise we risk paralysis through introspection — inaction, lest we be acting imperfectly. 4. After all, a liberal/progressive Catholic (think of the self-celebrating celebrant) can drive people away from Christ and His Church just as much as an obnoxious or elitist traditionalist can do. But on the objective side, it’s not completely equal: anthropocentric and/or ugly liturgy will always deform the faith of the people, whereas liturgy that is theocentric and aesthetically elevated has, in and of itself, an inherent truth and power — regardless of the mixed degrees of sanctity and sinfulness of its ministers. In other words, it is sophistical to argue that, because some traditionalists are imperfect, therefore a traditional manner of worship is imperfect, but it is quite true to argue that a contemporary manner of worship is imperfect and therefore produces moral, intellectual, and spiritual imperfections in our contemporaries. That is why it must be guarded against where it does not exist and, where it does, phased out as soon as possible. 5. Just as the Church should give people the fullness of truth, so she should give them the fullness of beauty. The Church’s claim to possess and to be able to give the fullness of truth is a startling and dangerous one, and yet it is true nonetheless, in spite of how it has gotten mixed up with ambition from time to time in history. Something similar is true for beauty: there is a sense in which the Church is the mother and the home of all that is beautiful, and the fact that this could be corrupted into aestheticism has nothing to do with her evangelical duty to proclaim the beauty of the Lord beautifully. 6. At this point one is likely to hear the barb “anything good can become an idol” (implying: you lovers of tradition are idolaters of some sort), but it seems dangerous — indeed, heretical — to argue that promoting the liturgy and its associated traditions, as received, preserved, loved, and honored by the Church down through the ages, can ever be dangerous in itself. After all, even the Eucharist can be dangerous per accidens, when It is received by someone in a state of mortal sin. There is nothing so good that it cannot be abused, except the divine nature itself. 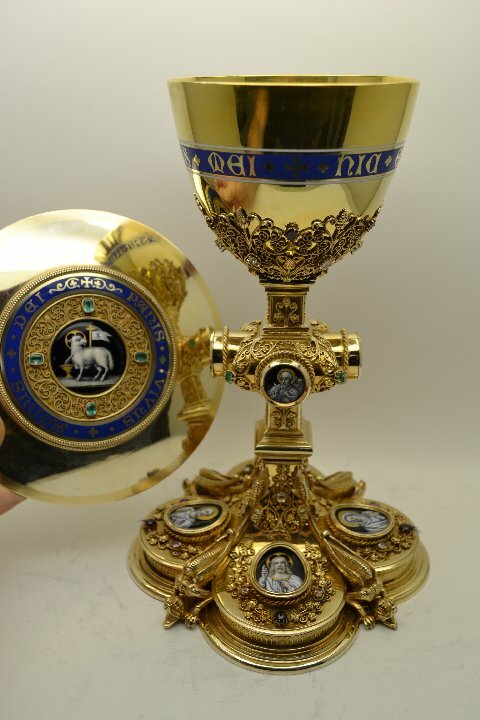 Nevertheless, we would never say that the Eucharist is dangerous without qualification. Nor should we say that excellence in the sacred arts, the aspiration to it and the use of it once acquired, is dangerous without qualification. 7. Jesus preached in parables both to reach people through images and to say something they wouldn’t be able to get (yes, that’s written in all three Synoptic Gospels, and it always makes people uncomfortable). In the Church’s Tradition the Logos is preached in a way that makes it clear that it IS the Logos and not a mirror held up to our own philosophies or lifestyles, a way that makes it possible to accept the Logos as our salvation from outside ourselves or to reject the Logos as an imposition on our disordered freedom. In its superabundant language of signs that strain their own boundaries and push the human mind to the very edge of rationality, the Latin liturgical heritage is and must be alien in many ways to all of us — whether European or American, African or Asian. Its symbolic and musical languages, its hallowed formulae and sacred gestures, speak a language that has always transcended the quotidian customs of any group of people, and rightly so. For it is thus (and only thus) that we are all drawn into that supranational unity called the Catholic Church, a process that is painful, demanding, and liberating for every earthly creature, stretching and reconfiguring us all in various (perhaps different and complementary) ways. 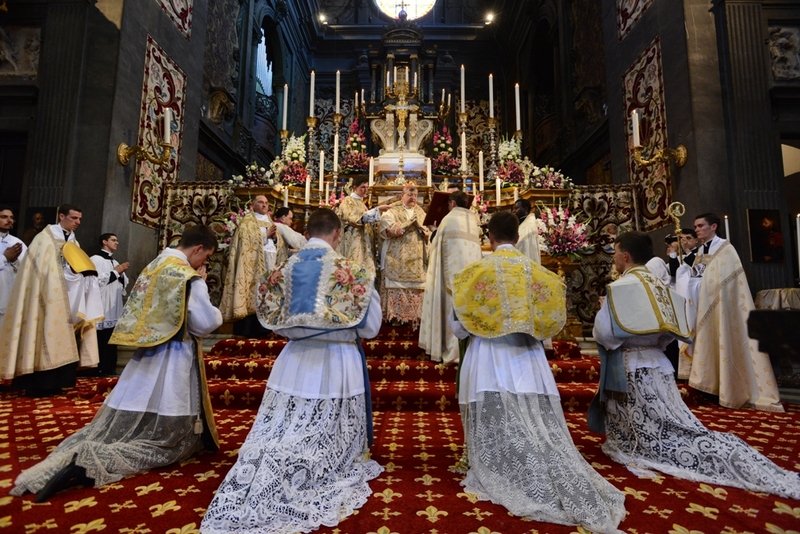 If the Holy Mass had ever been merely “European,” an expression of this or that aesthetic form common in Europe at any given time, it would have been incapable of forming the Mystical Body of Christ and extending its visible and invisible dimensions through missions to every tribe and tongue and people and nation. In fact, it would have been something equivalent to opera, or cinema, or whatever else happens to be our favorite way of entertaining ourselves. The liturgy is most decidedly not any of these, nor has it ever been. 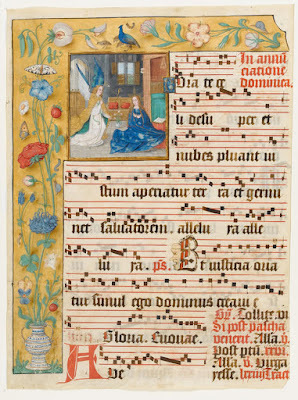 Who “owns” Gregorian chant? For whom is the mystical oblation of the God-Man a matter-of-fact reality? Do Gothic chasubles and zucchetti belong anymore to the Italians, French, and Germans than to Sub-saharan Africa or Kazakhstan? Even in the beginning, the earliest Roman faithful surely trembled in awe as the sacred mysteries were enacted before them. The Jewish converts themselves, no strangers to the awesome worship of the Temple, would have trembled when they heard St. Cyril of Jerusalem’s catechetical homilies before their baptism. The liturgy is always and everywhere, by the grace of God, a transcendent ritual form, and never just a paltry artifact of history whose richness can be reduced to a particular cultural aesthetic. Because it must immerse everyone in that mystical reality that is the whole Body of Christ worshipping together in spirit and truth, it will always do so by being alien to the daily lives of everyone and every time — precisely in order to infuse into that daily life a heavenly grace and blessing from the Lord’s holy and mystical altar.